You've turned a bar bet into the foundation of an extreme career. In short, you'll try anything, the crazier the better. 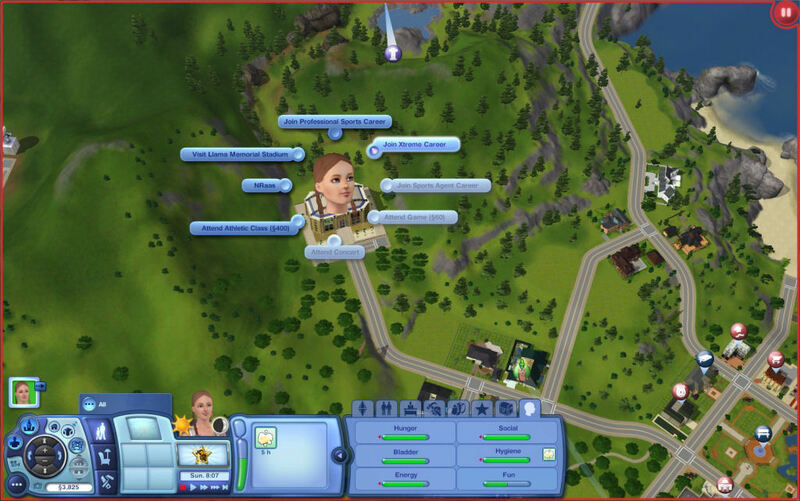 Do you remember the Xtreme career from the very first The Sims? 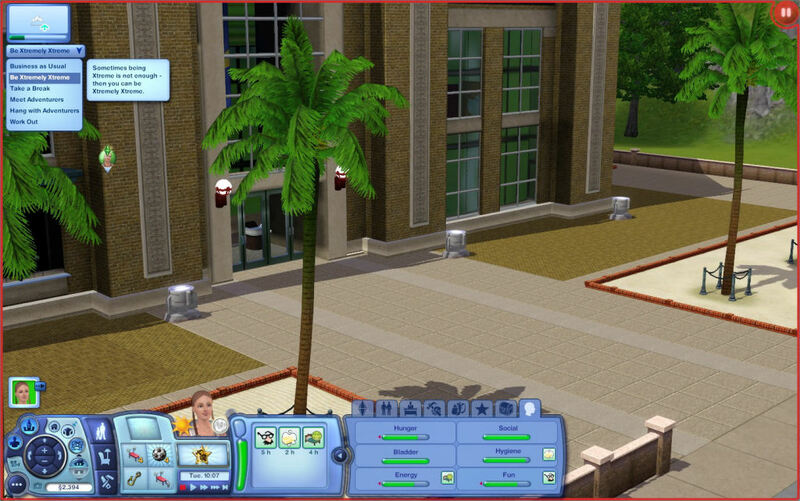 I do, and I'm proud to present this conversion of the career to The Sims 3. It's basically the same career but wages, skills and more have been adjusted to fit the new series. These are the 10 levels for this career. 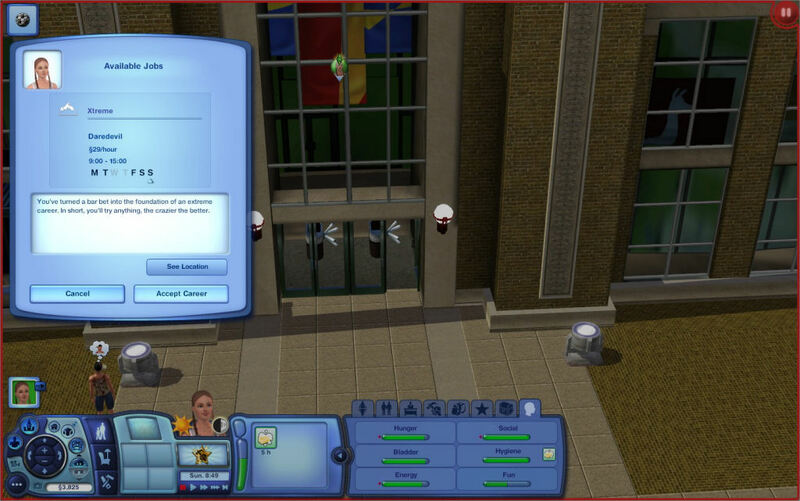 Job titles and descriptions have been taken from The Sims, with a few adjustments in descriptions to fit new skill requirements. Swim under the surface of a frozen lake, leap between rooftops with a bicycle, beat a train to a crossing, juggle a chainsaw while whistling "Dixie." Your workday is short, but intense. The salary stinks - but whoever thought that you'd get paid to do this? Athletic skills are critical here; nutrition and fatigue must be carefully monitored at home. You might invest in home gym equipment as well, to keep in the best shape possible. You're in charge of the rafts bobbing down the river in Sim Canyon. Hope your athletic skills are sufficient - to advance here, your paying riders need to have confidence in your strength. Never know when you might be stuck in the wilderness without enough food, so fishing skill is a plus. Snowboards in winter, mountain bikes in spring, kayaks in summer, and skateboards in fall - you've entered the year-round pro circuit. Strategies for winning can be helped by getting to know the other recruits. Since you're burning mega-calories, learning a few fishing tricks to get food is a good idea, too. Piloting that antique plane of yours demands some serious handiness skill if you're going to safely dive through dense cloud cover and land on dangerous terrain. And you'd better be in great physical shape in case you can't get out the same way you got in. Of course, the danger does yield high pay. You've become a renowned climber of unscaleable peaks, and there's lots of cash to be made by filming your expeditions for televison. Handiness and athletic skills will be important - a failure in your ascent gear or physical capacity could be devastating. Writing and photography skills will help you here. Work time is divided between taking photos and writing articles at the Sim Times newspaper office. You need to make sure you allow enough time to write without social distractions, in order to meet deadlines and collect a nice, fat fee. You've moved on to salvaging wrecks off the Sim City coastline. You need friends in the right places to secure all those permits. Hone that photographic talent of yours to get an edge in the search. Your latest job involves laying rubber on Sim City's racetracks. It is important that you leave home in a good mood with high spirits, you'll drive your best race that way. Playing an Electronic Arts racing game on your home computer might sharpen your reflexes, too. You've become a "secret agent" on assignment for your government in Sim City. To survive this highly lucrative business you must keep yourself in top mental and physical condition. Spies are also irresistible - which can cause problems with your mate. The rabbithole for this career is the Stadium. For the moment being this career is only translated into English - and the career texts will be in English for all other language versions aswell. If you'd like to translate you are welcome to do so. Send me a PM or post a reply to this thread with the translated files and I'll add them next time I update the career file. I recommend updating your game to at least patch 1.63 before installing this career, as this is the patch level which the latest version of the file was built in. Maxis for the original Xtreme career. Creon and twallan for their career creation tutorials. 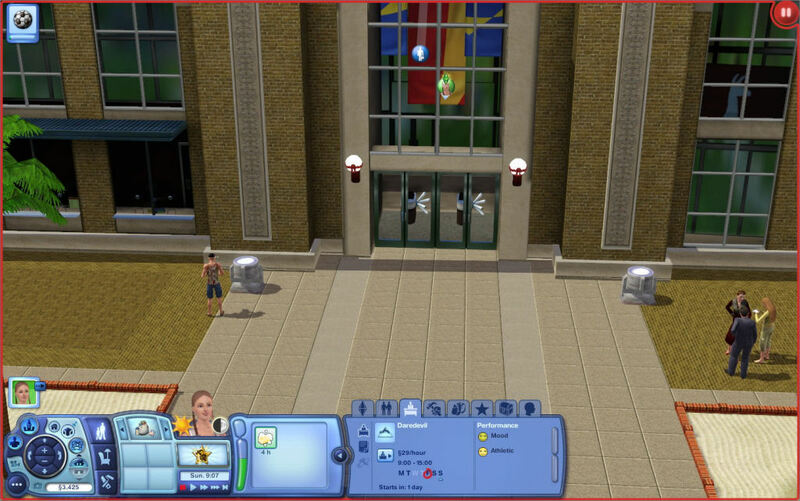 twallan for his Careers mod. cmo for making the career icons for me.